I am a hopeless Marvel fangirl but even I didn’t think Guardians of the Galaxy was going to make a good movie. Surprise! It did. Sooo good in fact that they made a sequel. This is one of those occasions where the sequel is better than the original. Gone is the whiff of uncertainty, even apology, that the first movie had. GotGII wears its silliness proudly and provides many huge laughs (I swear, Drax’s line about the size of his turds had my daughter crying into her ice-cream with laughter for a full ten minutes). It passes the Bechdel test with a great subplot about sisters, and both Gamora and Nebula are fabulously complex characters with compelling backstories. Kurt Russell is a treat as Ego, and the final half hour had me on the edge of my (plane) seat. 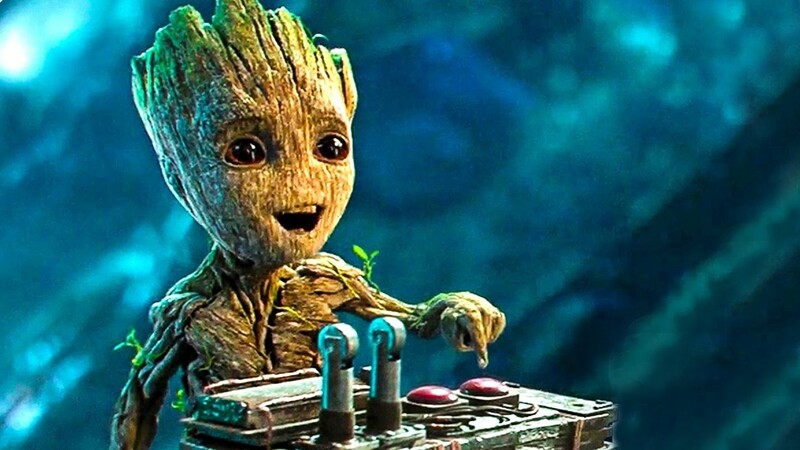 But Baby Groot stole the show. I thought I was going to be embarrassed by the obvious ca-yoots, but I loved him and everything about him: especially his dislike of hats. I get it, Baby Groot. I GET IT.